It’s 10:09 PM local time, and I’m curled up on the couch in the lodge of Hotel Q’antai in my North Face zipped to the top. You would never know that scorching sun beams filled the air at 4 pm, as it’s probably around 0 degrees Celsius now. Belly full of vegetable soup, quinoa, mate, and I’m still cold. I’m cold, but I couldn’t be more content. 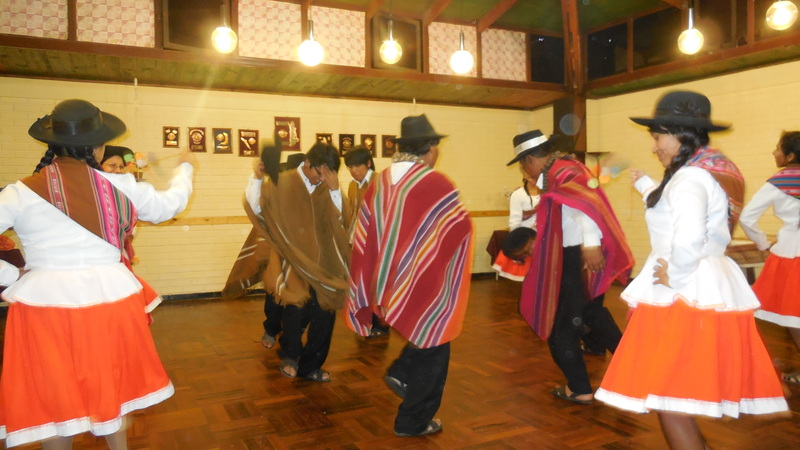 Currently, I’m exploring Putre with half my program on an excursion “up north” where we are learning about the indigenous people that have historically inhabited this part of the country, the Aymara. Putre, about 3,500 meters above sea level, is a quaint, rural pueblo of 1, 800 people, no more than 70 km from the Bolivian border. Putre, with its mate de coca (tea made from the coca leaf), snow-capped mountains, and tiny artisanal shops, has me mesmerized. It’s not much, but Putre feels like another little world above the clouds (and at 3,500 m, its close). The sun is more intimate and so are the friendly smiles of the people. The constant car alarms and barking dogs of Viña and Valparaíso are filtered out at this altitude, replaced with the occasional bleeping sheep, tricking canal. 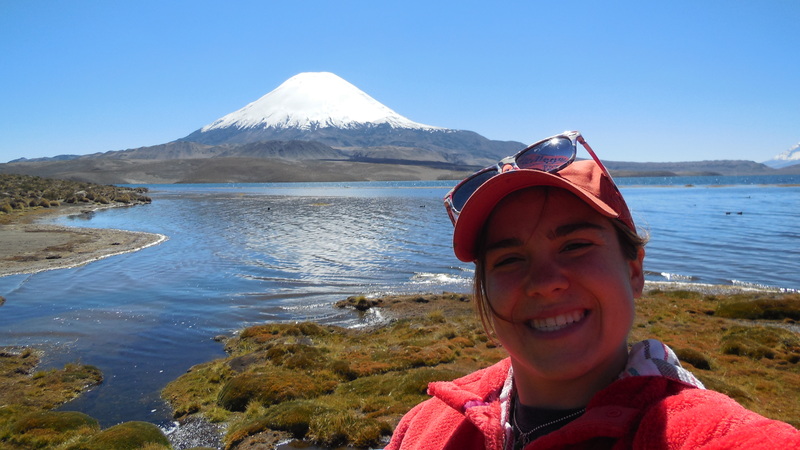 But most of the time, a peaceful silence fills the altiplano air. Above: me at Lake Chungara, close to Putre! 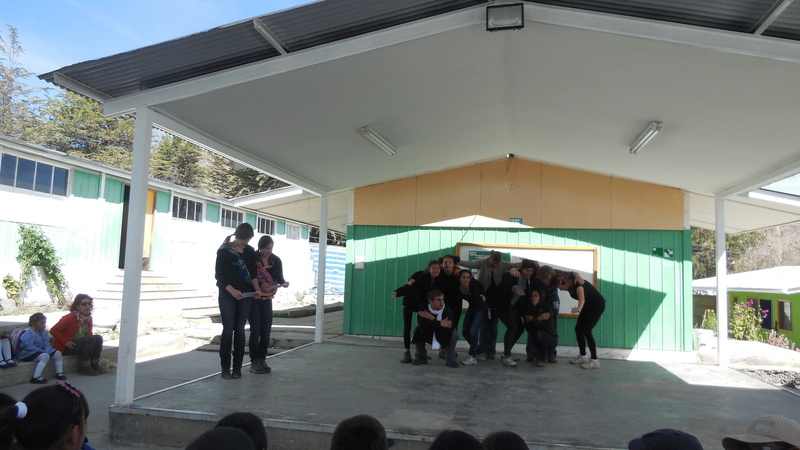 Just yesterday afternoon, our group also performed a short play for about 80 kids at the local school. We depicted a traditional Aymara folktale about a condor and a fox (I was one of the narrators!). The kids absolutely loved it and one boy asked if we could come back the next day with a new play! Adorable! Yep, I may have to sleep in a hat and three layers of shirts at night, but I wouldn’t want it any other way! Viva Chile!